Waldron's story inspires the viewer to think deeply about what's important in leading others. One man's action in war changed history. 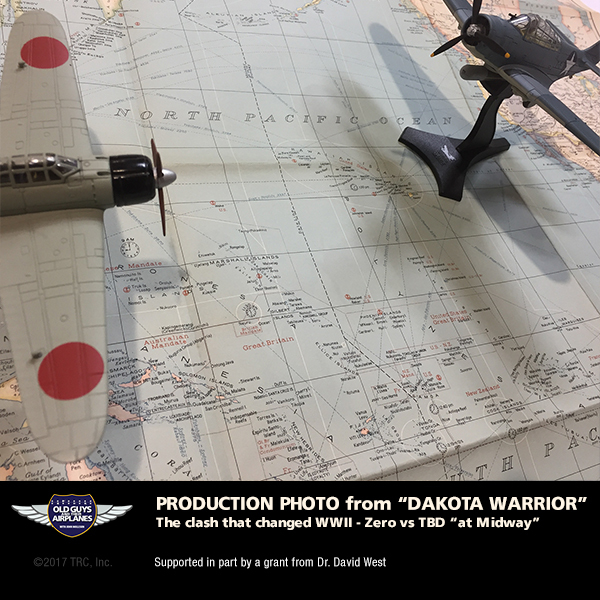 “Old Guys and Their Airplanes” (OGTA) announces the public release of the award-winning documentary, “South Dakota Warrior.” The video explores the character behind World War Two’s Battle of Midway hero, LtCDR John C. Waldron. Waldron established himself in history by leading his torpedo bomber squadron (VT-8) in what appeared to be a futile attack against the Japanese carrier fleet during the opening moments of the crucial battle on June 4, 1942. Waldron, along with 28 other men of his squadron, was killed during the battle. But, Waldron’s audacious act sparked what many have considered to be a “miraculous” chain of events that assured American victory in the battle as well as shortening the war itself. Waldron valued his Native American (Lakota) heritage and made reference to this fact as personal inspiration. Vietnam War combat medic and Lakotan, Francis Whitebird, describes the Lakota warrior ethos. Award winning historian, Barrett Tillman, describes the significance of the battle itself and the particular challenges faced by VT-8. 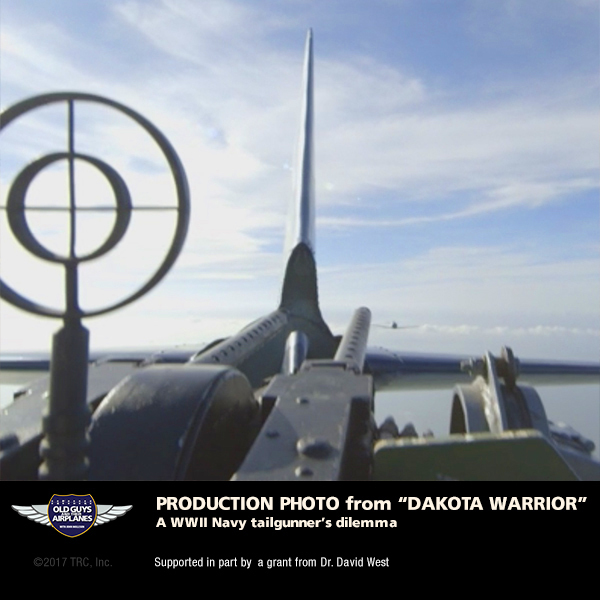 The film concludes by attempting to recreate the last moments of Waldron’s attack with contemporary footage filmed from WWII era aircraft. 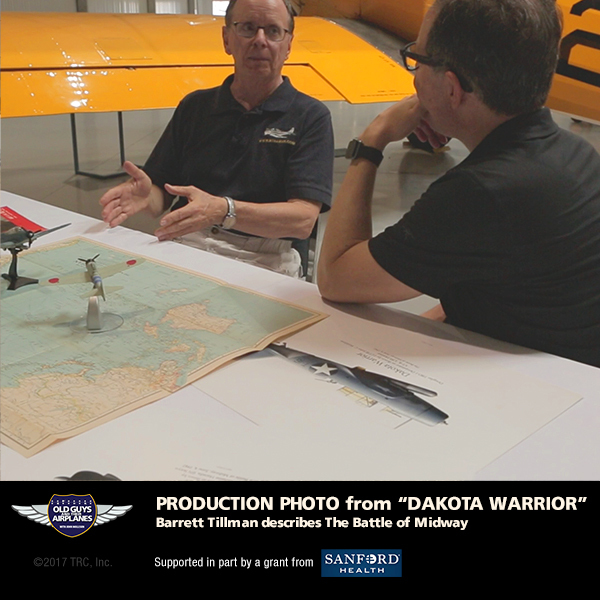 South Dakota Warrior was produced, in part, by grants from The South Dakota Community Foundation, Dr. David West, Sanford Health, Monsour Karim, the Fort Pierre Tourism & Promotion Council and the Ellsworth Heritage Foundation. 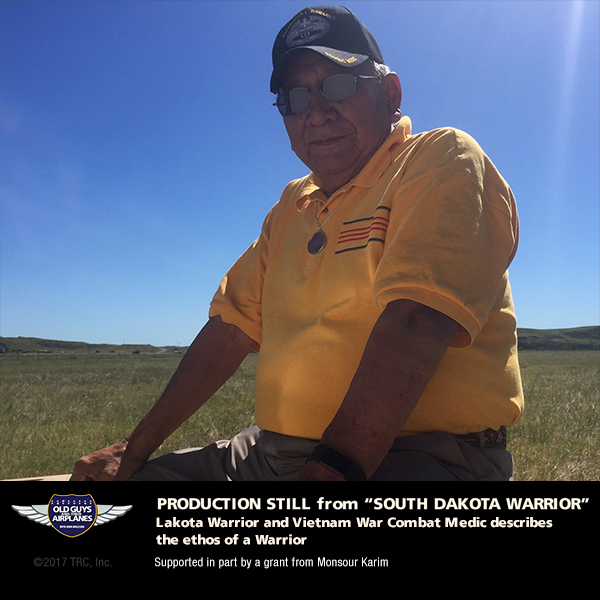 Lakota Combat Medic Francis WhitebirdOn-set during the production of "South Dakota Warrior"